Pumpkin Fine Cars & Exotics' Car Of The Day...a 2002 Mercedes Bens ML320, 4-Door SUV. What's not to love with these mid-size SUV's??? The Mercedes Benz ML's are fast becoming one of the more POPULAR and RELIABLE LUXURY Sport Utilities on the road today. 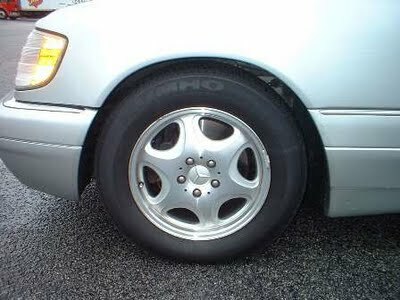 Mercedes Benz packed in OVER 1,000 UPGRADES to the 2002 ML Models and powered it by a 3.2 liter, 215-hp, V6 engine coupled with an automatic, all-wheel drive transmission. This pre-owned ML320 is a great looking vehicle with its black exterior on black leather interior and it has plenty of space and comfort for transporting family and friends as well as cargo and the like. Franck Freon, owner of Pumpkin Fine Cars & Exotics, takes no shortcuts when it comes to picking out pristine, reliable, first-class vehicles and this ML320 is no exception. Loaded down with tons of LUXURY FEATURES including power/HEATED SEATS, a VHS ENTERTAINMENT SYSTEM with Monitor and Remote, a 6-disc CD CHANGER, ALLOY wheels, Auto-Dim rear-view mirrors, a roof rack, RUNNING BOARDS, PRIVACY GLASS and even a TOWING PACKAGE has been included on this SUV. It has only 65,019 original miles and a CLEAN TITLE HISTORY. It has been FULLY SERVICED and PUMPKIN CERTIFIED, as with all of our pre-owned vehicles. This ML320 WILL NOT LAST LONG! So HURRY IN...and take this pre-owned SUV for a FREE, NO-HASSLE test drive today! At Pumpkin Fine Cars you never have to worry about the pressure or sale pitches that you get with other dealers. We get right to the point and price all of our vehicles to sell. NO GAMES AND NO GIMMICKS! For more information, log onto our website at http://www.pumpkincars.com/, where you can also view a complete listing of our current inventory. Contact us at (609)646-7676 or email us at [email protected] to schedule that test drive! We look forward to seeing you soon! As a Proud Sponsor of the Linwood Library, Pumpkin Fine Cars & Exotics would like to acknowledge that this month we will be celebrating National Library Week during the week of April 11th-17th. Did you know that nearly 170,000 people visit New Jersey public libraries every day and over 48,000,000 visits are made yearly to NJ public libraries. The Linwood Library has seen a dramatic rise in book circulation this year due to the economic times, and our computer use is phenomenal. We here at Pumpkin Cars believe that education, not only for our youth but for adults as well, is so important and that our libraries are such a huge fundamental tool in providing such education to numerous organizations and groups in the area. You can find anything from book readings for our babies to Art Classes for the elderly. Libraries offer so much education and there are so many classes and seminars that take place there, that donating to this cause, for us, was a no-brainer. The Linwood Library is now open on Sundays from 12pm - 4pm. The response has been fantastic to the addition of Sunday as a day when we can visit the Linwood Library. Please help spread the word to all of your neighbors as it takes time for people to find out the good news. Many school projects are finding their way to the library as it is a great place to get together with fellow students. Computers have been in great demand also. If you have not made a visit on Sundays yet, do so this week or during the week of April 11th and spread the word. For more information, check out the Linwood Library's web page at http://www.linwoodlibrary.com/. If you would like to contact us about this article or would like more information about Pumpkin Fine Cars & Exotics and how we contribute to our community, log onto our website at http://www.pumpkincars.com/. Thank you for visiting our blog. We look forward to seeing you out there at one of the local libraries! Pumpkin Fine Cars & Exotics' Car Of The Day...a 2003 Mercedes Benz E320, 4-Door Sedan. LOOK OUT, this pre-owned E320 Benz is QUITE A CATCH! The PRSTINE exterior is a MAGNIFICENT color of Midnight Blue and the light Gray interior is a classic combination. Along with the Leather, Wood and Chrome Trim, this beauty reaps PURE ELEGANCE. With a V6, 3.2 liter engine and an automatic transmission with 268 horse-power, the E320 offers respectable performance along with respectable fuel efficiency. Mercedes Benz has long been the leader in blending sportiness with luxury while still maintaing comfort, performance and safety. For a review on the E-Class Benz, click here or visit Edmunds.com. This pre-owned E320 comes with plenty of LUXURY FEATURES including a PREMIUM PACKAGE that includes XENON headlights, PARKTRONIC SENSORS, power/HEATED seats with MEMORY positioning, ALLOY wheels, Auto-Dim Rear View Mirrors, a power Moon Roof and much more. With a CLEAN TITLE HISTORY and it's PRISTINE condition, theres not much left to be desired. So, for the driver who demands slightly more than basic transportation, this E320 may just be the car for you. Come in today for a FREE, NO-HASSLE test drive and see for yourself why Pumpkin Fine Cars & Exotics is quickly becoming South Jersey number one place to buy pre-owned luxury vehicles. Contact us at (609)646-7676 or email us at [email protected]. For more information or to view a complete listing of our current inventory, log onto our website at http://www.pumpkincars.com/. If you want the comfort of buying in a HASSLE-FREE, FAMILY ATMOSPHERE and you want a vehicle that is not only DEPENDABLE but AFFORDABLE, then Pumpkin Fine Cars & Exotics is the ONLY DEALERSHIP for you! Pumpkin Fine Cars & Exotics' Car Of The Day...a 2002 BMW 325i, 4-Door Sedan. This BEAUTIFUL, PRISTINE, pre-owned 325i is as STYLISH and UNIQUE as it is Comfortable and Reliable! A GORGEOUS Soft Blue Exterior combines classically with Gray Leather Interior. You won't see many of these Blue BMW's around! It has 85,905 original miles and a CLEAN TITLE HISTORY. At Pumpkin Fine Cars, we make sure that ALL of our pre-owned vehicles have been FULLY SERVICED and PUMPKIN CERTIFIED! Owner, Franck Freon has been in the automotive business for over 25 years and boy does he know how to pick 'em. This 325i comes with a PREMIUM PACKAGE that includes power/HEATED seats with MEMORY positioning, ALLOY wheels, auto-dim rear view mirrors, HARMON KARDON Stereo System with AM/FM & CD Player, Fully Powered Options including windows, locks, mirrors and a power moon roof. This sporty 3-series has a 6 cylinder, 2.5 liter engine and 184 horsepower, giving it just the right amount of power and control. BMW left little to be desired with this sedan, it packs in all the best luxury features into one great little sport package! Stop by Pumpkin Fine Cars and take this 325i for a FREE, NO-HASSLE test drive today. You can get out of the rain by viewing our vehicles in our unique INDOOR SHOWROOM! For more information or directions to our showroom, contact us at (609)646-7676 or by email at [email protected]. You can view a complete listing of our current inventory or learn more about Pumpkin Fine Cars & Exotics by logging onto our website at http://www.pumpkincars.com/. Pumpkin Fine Cars & Exotics' Car Of The Day... a 2000 BMW 528i, 4-Door Sedan, This IMMACULATE, pre-owned 5-series is in EXCELLENT, EXCELLENT condition! The previous owner's took GREAT CARE of this vehicle and it shows! It has 94,170 original miles and a CLEAN TITLE HISTORY. It is absolutely "AMAZING" according to Pumpkin Owner, Franck Freon. If you are looking to SAVE SOME MONEY and want a BMW that still looks and runs LIKE NEW...than this SPORTY 325i is definitely for you! We FULLY SERVICE all of our vehicles and they must pass our Pumpkin Certification process before they can make it to the showroom floor! This vehicle has far surpassed that! This pre-owned 325i has a BEAUTIFUL Blue Exterior and Tan LEATHER interior. It has the optional PREMIUM PACKAGE including power/HEATED SEATS with MEMORY positioning, AM/FM Stereo with a 6-Disc CD CHANGER, Alloy wheels, auto-dim rear view mirrors, moon roof and fully powered windows, locks, mirrors and steering. If you want to shop for a pre-owned vehicle and you want the comfort of our indoor showroom without the hassles and cheasy sale pitches that other dealers offer...then stop by Pumpkin Fine Cars & Exotics, located in Egg Harbor Twp, and see just what makes us a step above the rest! We have a variety of quality, pre-owned vehicles and a complete listing can be found by, clicking here, or logging onto our website at http://www.pumpkincars.com/. If you would like to schedule a test drive or you have any questions, contact us at (609)646-7676 or you can email us at [email protected]umpkincars.com. WE'LL BUY YOUR CAR, CASH TODAY!!! At Pumpkin Fine Cars & Exotics we will pay CASH ON THE SPOT for YOUR vehicle! We take ALL MAKES and MODELS, as far back as the late 90's. No value is too little, so if you are in a pinch, or you just don't drive that second vehicle sitting in your garage, then stop by our indoor showroom in Egg Harbor Twp, just minutes outside of Atlantic City, and ASK FOR FRANCK for a FREE, NO-OBLIGATION APPRAISAL today! We are ALWAYS up-front and HONEST about the value of your vehicle. We play NO GAMES & there is NO PURCHASE NECESSARY to sell your vehicle! Just bring in your clean and clear title and you will leave with MONEY IN HAND. We make it quick, easy and painless...no more procastinating, stop in to Pumpkin Fine Cars today! Directions to our showroom can be found on our website or you can contact us at (609)646-7676 or email [email protected] to schedule an appointment! Pumpkin Fine Cars & Exotics' Car Of The Day...DEAL OF THE WEEK! This pre-owned, 2005 Honda Accord EX, 4-Door Sedan has been REDUCED TO SELL! This VERY CLEAN and VERY RELIABLE Accord has ONLY 28,570 original miles. That's an average of 6,000 per year...thats UNHEARD OF! Because this classic sedan does have a few cosmetic flaws, we have REDUCED THE PRICE BY OVER $3,000.00 and are currently asking ONLY $11,995 for this BARELY BROKEN-IN 2005 Honda Accord. Not only is Honda one of the most ECONOMICAL and most RELIABLE vehicles on the road today but you would be buying it from Franck Freon, the most reliable and honest dealer in town. We pride ourselves on selling high quality & cost-efficient vehicles which are always below books, in a relaxed, no-pressure family atmosphere. With over 18 years of professional race car driving experience, Franck knows just how to pick 'em. So stop by today and take this Accord, or any of our other pre-owned, pristine vehicles, for a FREE, NO-HASSLE test drive today. This pre-owned Accord has been fully serviced and Pumpkin Certified. It has some great features including full power options and cloth interior, AM/FM Stereo with a 6-disc CD Changer and Alloy Wheels. We do have financing available for those who qualify and a preliminary credit application can be found by clicking here, or logging onto our website. To view a complete list of our current, pre-owned inventory, log onto our website at http://www.pumpkincars.com/ or contact us at (609)646-7676. We look forward to seeing you soon at our unique indoor showroom located on Fire Road in Egg Harbor Twp, NJ! Pumpkin Fine Cars & Exotics' Car Of The Day... a 2007 BMW 328i, 4-Door Sedan. This IMMACULATE, pre-owned 3-Series BMW is one MAGNIFICENT, piece of machinery! With it's SUPERIOR HANDLING and plenty of comfort and space, anyone lucky enough to own a vehicle like this can tell you that's its well worth the buy! With ONLY 30,852 original miles, we have this 328i selling at ONLY $23,995, thats THOUSANDS BELOW book value. In fact, you won't find another one like it anywhere around for this cost. BMW of Atlantic City has one listed right now at $28,995 with 32,352 miles on it... Thats a $5,000 difference. If you want to buy from someone you can TRUST and you want a PRISTINE, BETTER-THAN-NEW vehicle, then Franck Freon is your man and he's doing what no-one else can... Selling QUALITY vehicles, with prices always below books, in a relaxed, no-pressure, family atmosphere. Stop by our UNIQUE INDOOR SHOWROOM today and check out for yourself what all the fuss is about! This pre-owned 328i is loaded down with TONS OF LUXURY FEATURES including RUN-FLAT TIRES and 16" ALLOY wheels, both driver and passenger seats are powered and heated with memory positioning, the interior rear view mirror has an auto-dimming feature and the steering wheel has controls for the stereo system, cd player, phone system (if connected) and cruise control. The Iridium Silver exterior and Black Leather Interior makes a beautiful color combination! If you want a vehicle that will definitely turn heads while giving you the sportiness and precision that only BMW can offer, than this bad boy is for you! As with all of our cars, this vehicle has been fully serviced and Pumpkin Certified. It is still UNDER BMW FACTORY WARRANTY until February 2011 and even has a SERVICE PLAN until February 2013...THATS UNHEARD OF!!! If you still need some convincing, click here for some of the rave reviews submitted to Edmunds.com from BMW owners. For more information, contact us at (609)646-7676 or email us at [email protected]. Log onto our website at http://www.pumpkincars.com/ where you can find a current listing of our pre-owned inventory, as well as loads of other useful information including financing and credit applications, detailed driving directions and a complete history on owner, Franck Freon and how Pumpkin Fine Cars & Exotics came to be. We hope you will take some time to stop by our showroom located in EHT. We look forward to meeting you soon! Pumpkin Fine Cars & Exotics' Car Of The Day...a 2007 Mercedes Benz E350 4-Matic, 4-Door Sedan. This BEAUTIFUL and IMMACULATE, pre-owned 07 E350 Benz with ONLY 34,248 original CERTIFIED miles is more than just a car. This is a vehicle for the driver that demands more than basic transportation. We have it listed for THOUSANDS LESS than book value at ONLY $28,995! Not only is this magnificent machine a WELL BUILT piece of craftsmanship but it is still Under FACTORY WARRANTY until 06/26/2011 or 50k miles! If you want the convenience of buying a luxury vehicle from someone (Franck Freon) you can trust, without the hassles and cheasy sale pitches, stop by Pumpkin Fine Cars and experience a peaceful and pleasurable way to shop. This preowned E350 4-matic has a V6, 3.5 liter engine and automatic transmission. It is a luxury sedan that is packed FULL OF FEATURES, almost anything you can think of was built into this MEGA-MACHINE. NAVIGATION and SATELLITE Radio with a 6-disc CD CHANGER & CD Player with an IPOD KIT are just the tip of the iceberg. This E-Class also features power HEATED seats with memory positioning, 17" ALLOY wheels, auto-dimming rear view mirrors, a power trunk lid & power mirrors along with fully powered windows, locks and seats and a power moon roof. Come in for a FREE, NO-HASSLE test drive today. Contact us at (609)646-7676 or email us at [email protected] for more information. If you would like to see a complete listing of our pre-owned vehicles currently in-stock, visit us on the web at http://www.pumpkincars.com/. As with all of our pre-owned vehicles, this E350 has been fully serviced and Pumpkin Certified. We have financing available and driving directions to our unique indoor showroom can all be found on our website as well. 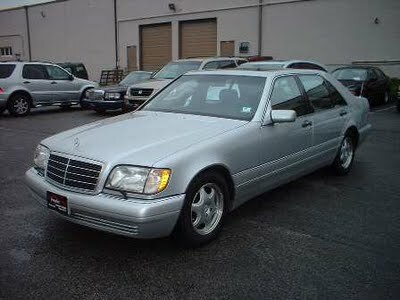 Pumpkin Fine Cars & Exotics' Car Of The Day...a 1999 Mercedes Benz C230 Kompressor, 4-Door Sedan. LOOK OUT! This CLASSIC, pre-owned C230 is a GREAT FIND! Anyone looking to own a DEPENDABLE, AFFORDABLE and RELIABLE vehicle for UNDER $10k should stop on by Pumpkin Cars and get a look at this CLEAN and PRISTINE Mercedes Benz. This RARE FIND is a ONE-OWNER vehicle with a CLEAN TITLE HISTORY and has ONLY 52,053 original miles. This is UNHEARD OF for a 1999! There's only one place in town where you can find a Benz as clean as this one, with less than 60k miles for ONLY $9,995...stop on by our indoor showroom and take this C230 Kompressor for a test drive today! 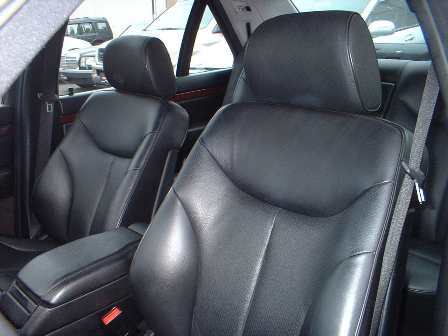 The Champagne exterior is complimented by tan LEATHER interior and wood trimming. Features include a moon roof, alloy wheels, fully powered options such as seats, windows and locks and much more! This pre-owned C-class WILL NOT LAST LONG! We have financing available for those who qualify and a credit application can be found on our website at http://www.pumpkincars.com/. As with all of our vehicles, this C230 has been fully serviced and Pumpkin Certified. If you are in the market for a pre-owned vehicle and want to buy from someone you can trust, contact us today at (609)646-7676 or email us at [email protected]! We look forward to seeing you soon! Pumpkin Fine Cars & Exotics' Car Of The Day...a 2005 Acura TL 3.2, 4-Door Sedan. This STYLISH & SPORTY pre-owned 2005 Acura TL is your classic, always fun-to-drive sedan. With graphite exterior on light gray LEATHER, the appearance of this TL is as sharp as its performance. With rave reviews on Edmunds.com, pouring in from all over by Acura owners themselves, you'll be left wondering why you haven't stopped in yet for a FREE, NO-HASSLE, no-obligation test drive on this pristine, pre-owned Acura TL from Pumpkin Fine Cars & Exotics. Not only is this pre-owned TL 3.2 as SPORTY & FUN as everyone claims it to be but this particular vehicle comes with a CLEAN TITLE HISTORY, no accidents, no flood or frame damage and ONLY 71,030 original miles. You can own this beauty now for ONLY $16,995.00. LUXURY features include power/HEATED SEATS, ALLOY wheels, a MOON ROOF, AM/FM Stereo with a 6-Disc CD CHANGER and much more! For more information on this vehicle or a complete list of our pre-owned inventory, log onto http://www.pumpkincars.com/. Contact us at (609)646-7676 or email us at [email protected] to schedule a test drive or if you need driving directions to our showroom located in Egg Harbor Twp, just outside of Atlantic City. If you want to buy from someone you can trust, who has 25+ years of automotive experience, then stop by Pumpkin Fine Cars & Exotics today and ask for Franck! 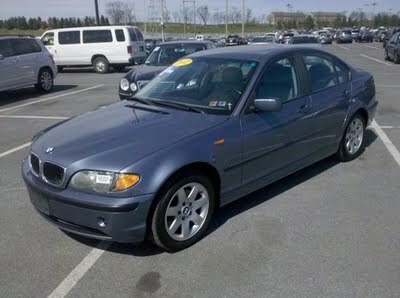 Pumpkin Fine Cars & Exotics' Car Of The Day...a 2004 BMW 325i, 4-Door Sedan. JUST IN...this PRISTINE, PRE-OWNED 325i is one SPECTACULAR, SPORTY automobile. It's LIKE-NEW condition speaks for itself and with ONLY 64,953 original miles, you'll SAVE THOUSANDS over its retail cost. The shiny silver exterior is complimented nicely by its gray leather interior and a wood trim. This vehicle has a CLEAN TITLE HISTORY, no accidents, no frame and no flood damage. You can OWN this 325i NOW for ONLY $14,495.00. LUXURY features include power/HEATED SEATS, alloy wheels, AM/FM Stereo with CD Player, Auto-Dim Rear View mirrors, power windows, locks and mirrors and a moon roof. If you want to buy from someone you can trust, who has 25+ YEARS of EXPERIENCE, then stop by Pumpkin Fine Cars for a FREE, no-hassle, no-obligation test drive today! At Pumpkin Fine Cars & Exotics you'll enjoy quality vehicles, with PRICES always BELOW BOOKS in a relaxed, no pressure family atmosphere! Contact us at (609)646-7676 or email us at [email protected] for more information. If you are interested in seeing some of our other pre-owned, pristine vehicles, check out a complete listing on our website at http://www.pumpkincars.com/. We have FINANCING AVAILABLE and our pre-owned vehicles are always serviced and Pumpkin Certified! So stop by our unique, indoor showroom and bring home a Pumpkin car today! Pumpkin Fine Cars & Exotic's Car Of The Day...a 1999 Mercedes Benz E320, 4-Door Sedan. This SUPER CLEAN, classic, E320 is a GREAT FIND! It is brand new to the Pumpkin line-up and will NOT LAST LONG! It has been fully serviced and PUMPKIN CERTIFIED. The Arctic White exterior is complimented by tan leather interior and wood trimming. This color combination is not only beautiful and classy but hard to come by. It has a CLEAN TITLE HISTORY, no accidents, no frame and no flood damage and has 76,931 original miles. You can own this prsitine Benz for ONLY $10,995.00! We have financing available with very competitive rates and all of our vehicles are backed by a 1 month/1000 mile, Powertrain "peace of mind" Warranty. We also have extended service plans available, customized to fit your needs and your budget. Features of this pre-owned E320 include power seats with memory positioning, AM/FM Stereo with a 6-disc CD Changer, Alloy wheels, auto-dimming rear view mirrors, a moon roof and power locks, windows and mirrors. To view additional information and other photos of this vehicle, click here. If you would like to schedule an appointment to test drive this Benz, contact us at (609)646-7676 or email us at [email protected]. 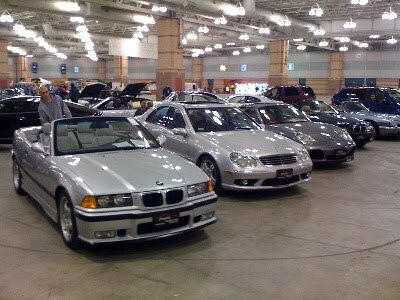 A complete listing of our entire inventory can be found on our website at http://www.pumpkincars.com/. If you want the ease and convenience of buying a pre-owned vehicle from someone you can trust, then stop by Pumpkin Fine Cars & Exotics and let Franck's lifetime of experience be your guide! We look forward to seeing you soon! Pumpkin Fine Cars & Exotics' Car Of The Day...a 1999 Mercedes Benz ML320, 4-Door SUV. This PRISTINE, pre-owned ML320 has got to be one of the BEST DEALS AROUND! With 89,032 original miles and a CLEAN TITLE HISTORY, this vehicle is selling at ONLY $8,995.00. Not only is this vehicle one of the most popular SUV's on the road today, but it has features that are not found on every other ML320. It has a UNIQUE, PANORAMIC power SUNROOF and when I say this vehicle is CLEAN, I mean it is IMMACULATE! This vehicle looks and runs like its brand new! BETTER THAN NEW! It has been fully serviced and PUMPKIN CERTIFIED so if you are looking to buy a pre-owned Benz then buy one from someone you can trust and do it in the comfort of our unique indoor showroom. We have no sleazy salesmen and no cheasy catch phrases. We have financing available, for those who qualify, and extended service plans customized to your needs. This pre-owned ML320 has tons of luxury features including power/heated seats with memory positioning, alloy wheels, AM/FM Stereo with a 6-disc CD Changer, roof rack, privacy glass windows, auto-dim rear view mirrors, and charcoal gray leather interior. It has a valid NJ STATE INSPECTION STICKER good till 2012. If you are interested in taking this vehicle for a FREE, no-obligation, no-hassle test drive then contact us at (609)646-7676 or email us at [email protected]. To view a complete listing of our current inventory, visit our website at http://www.pumpkincars.com/. Pumpkin Fine Cars & Exotics' Car Of The Day...a 2006 BMW 325i, 4-Door Sedan. This pre-owned, graphite, beauty is barely broken in with just over 47,700 original miles. We can't seem to keep these awesome machines in stock! It is sharp and pristine and an absolute blast to drive! These 3-series BMWs handle with terrific precision and absolute control. It has a 6 cylinder, 3.0 liter engine and 230 horsepower. This is by far the "ultimate driving machine", according to rave reviews on Edmunds.com, and is BMWs "top-seller in the United States, with good reason". If you are in the market for a BMW, then you might as well buy one from an expert, who you can trust to put you in the most affordable, best possible driving machine that your money can buy. Stop by Pumpkin Fine Cars' showroom, located in Egg Harbor Twp and take this pre-owned 325i for a test-drive. Believe me, this BMW will not last long and is selling for only $19,995.00...thats thousands below book! It has a Factory Warranty good until Aug. 2011 or an incredible 100k miles, whichever comes first! Luxury features include Navigation, Xenon headlights, power/heated seats, alloy wheels, black leather interior with wood trimming, moon roof, CD Player and more. If you are looking for a car that contains sportiness and power with comfort and luxury, then a BMW 325i may be just the car for you. This vehicle is for the driver that demands a little more that just basic transportation. If you would like to schedule an appointment to take this bad-boy for a spin, contact us at (609)646-7676 or email us at [email protected]. A complete listing of our pre-owned vehicles can be found online at http://www.pumpkincars.com/. Check out our website for details on our unique, car-selling philosophy and see what other Pumpkin customers had to say about the Pumpkin buying experience! Pumpkin Fine Cars & Exotics' Car Of The Day...a 2005 Isuzu Ascender, 4-Door SUV. This pre-owned Sport Utility is a great find! Brought to us on trade, it has a valid New Jersey State Inspection sticker good until May 2011. This vehicle also has a clean title history, no accidents, no frame or flood damage. This pre-owned Ascender has just over 70,000 miles and is in perfect running condition. Where else can you buy a pre-owned SUV, from a dealer you can trust, for under $10,000.00? At Pumpkin, we make sure that every vehicle on our showroom floor has passed our Pumpkin Certification process and is a great vehicle to carry on the Pumpkin name. This 5-passenger, two-wheel drive SUV has a 6-cylinder engine and an automatic transmission making this a very economical mid-size sport utility. This 2005 Ascender has a great color combination, with black & gray exterior and gray cloth interior. An AM/FM Stereo with a CD Player, keyless entry, power windows, locks and seats are some of the standard features this vehicle has to offer. If you are looking for a pre-owned Isuzu and want the comfort of buying a vehicle without the pressure and cheasy sale pitches, then keep dry and stay out of the rain. Stop on by our unique, indoor showroom located on Fire Road in Egg Harbor Twp and take this pre-owned Ascender for a FREE, no-obligation test-drive. To schedule an appointment or for more information contact us at (609)646-7676 or log onto our website at http://www.pumpkincars.com/. You can find financing and warranty information as well as a complete list of our pre-owned inventory and driving directions to our showroom. Have a very safe weekend as we weather the storms and don't forget to move your clocks forward one hour tonight as we welcome the Spring season of 2010! Pumpkin Fine Cars & Exotics' Car Of The Day...a 2007 Mercedes Benz S550, 4-Door Sedan. This pre-owned, IMMACULATE S550 is pure luxury and Benz's most prestigous class of sedans. It is as famous for it's state-of-the-art features and safety as it is for its perfomance and stability. This sedan has class and style written all over it. With only 40,686 original certified miles, you can own this vehicle now for THOUSANDS LESS than the cost of a new S550 and this pristine, pre-owned, barely-broken-in Benz is better than new! Drive it away today for an ALREADY REDUCED price of $44,995. This S550 is fully LOADED DOWN with luxury features including a PREMIUM Package with heated and ventilated power seats and memory positioning, Navigation, Satellite Radio with a 6-disc CD Changer, Xenon headlights, 18" alloy wheels and a moon roof. The Iridium Silver exterior is complimented by rich black leather interior and wood trimming. It has a CLEAN TITLE HISTORY, no accidents, no flood or frame damage. It is currently under a FACTORY WARRANTY until July 2010 or 50k miles, whichever comes first. This S550 has a V8, 5.5 liter engine with 382 horsepower, SUPERIOR handling and IMPRESSIVE ride dynamics. It goes 0 to 60 mph in less than 6 seconds. Now if this vehicle doesn't tweek your interest than I'm afraid of what will. As with all of Pumpkin's Fine Cars this S550 Benz has been fully serviced, professionally detailed and Pumpkin Certified. We have financing available with very competitive rates and extended warranties customized to fit your needs and your budget. Contact us at (609)646-7676 to schedule a test drive or stop on by our showroom anytime between the hours of 10am-6:30pm Mon-Fri, 10am-3:30pm on Saturdays. For more information on this vehicles or if you are looking for something a little less flashy, log onto our website, http://www.pumpkincars.com/, for a complete listing of our pre-owned vehicles. Whether your looking for a fine, exotic automobile or you just want something to cruise around in that won't break your budget, we've got 'em all. We're located in Egg Harbor Twp, NJ just minutes outside of Atlantic City and detailed driving directions can be found on our website. We thank you for visiting our daily blog and we look forward to seeing you soon! Pumpkin Fine Cars & Exotics' Car Of The Day... a 1997 Mercedes Benz S420, 4-door Sedan. This classic oldy but goody is in excellent condition and has only 133,067 original miles. This vehicle was owned, driven and cared for by, none other than Pumpkin owner, Franck Freon himself. This pre-owned S-Class sedan is part of the Benz Premier line-up and for good reason. Performance and seating is the best in its class. With a V8, 4.2 liter engine, automatic transmission and 275 horsepower, you'll get everything you need and more from this luxury machine. Buy it now from Pumpkin for only $7995.00! Check out the review written about this series on edmunds.com. This silver bodied S420 has black leather interior and wood trimming. Features include an AM/FM Stereo with a 6-disc CD Changer, power heated seats with memory positioning, alloy wheels, auto-dimming rear view mirrors and power windows, locks and mirrors. A clean title history with no accidents, no flood and no frame damage. It has been fully serviced and Pumpkin Certified. Stop by our unique indoor showroom located in Egg Harbor Twp, just outside of Atlantic Ctiy and take this beauty for a no-obligation test drive. We have financing available and a credit application can be found on our website at http://www.pumpkincars.com/. For a complete listing of other Pumpkin vehicles, click here or log onto our website. Contact us at (609)646-7676 or email us at [email protected] with any questions or to schedule a test drive. Pumpkin Fine Cars & Exotics' Car Of The Day...a 2002 Honda Odyssey EX-L, 4-door Mini-Van. This pre-owned Honda is a beautiful blend of the quality and craftsmanship that Honda is known for. With a V6, 3.5 liter engine, automatic transmission you'll have enough engine power to carry around a family of seven without breaking your budget. The bluish-gray exterior is a beautiful color combination with the gray leather interior. Tons of luxury features will keep the kids satisfied on any road trip and the rear captain chairs allow lots of extra space and comfort. This pre-owned Odyssey has 85,396 original miles and a clean title history, no flood or frame damage and no accidents. The features are plentiful and include a DVD Entertainment system, an AM/FM Stereo with a 6-disc CD Changer, 2 rear power sliding doors, power rear windows, rear air conditioning and power seats, windows and locks. This pre-owned vehicle is in great shape, runs and looks like new. It is originally a New Jersey vehicle and has a State Inspection sticker good till July 2010. It has been fully serviced and Pumpkin Certified. It is ready to be driven home. You can own this pristine, 7-passenger Odyssey for only $10,995. To schedule a test drive, contact us at (609)646-7676 or email us at [email protected]. For more information and photos on this vehicle, visit our website at http://www.pumpkincars.com/. You can view a complete list of our pre-owned, pristine inventory by clicking here. We have financing available and extended service plans designed to fit the needs and budgets of every customer. To view testimonials from satisfied Pumpkin customers or if you are interested in the history of Pumpkin Fine Cars & Exotics, log onto our website, http://www.pumpkincars.com/. Thank you for visiting our blog, we look forward to meeting you soon! Pumpkin Fine Cars & Exotics' Car Of The Day... a 2004 Mercedes Benz ML350, 4-door SUV. This pre-owned beauty is an exceptionally classy Sport Utility with only 66,907 original miles. This ML's white exterior is complimented nicely with tan leather interior and wood trimming. This vehicle runs and looks like new, has a clean title history, no accidents reported, no flood or frame damage. The new third row addition is an added bonus with seating for 7 and the many luxury features that this ML350 has, keeps this SUV one step above the rest. Read what others have to say about the ML series and why its very frequently, a number one choice in mid-sized SUV's, log onto Endmunds.com or click here. Why not drive around a sporty SUV in comfort and luxury while still maintaining the safety and high standards that one would expect from a vehicle? Well this ML350, manufactured by Mercedes Benz with all the above qualities and more, will make you understand why it’s one of the most popular vehicles on the road today. With a V6, 3.7 liter engine and automatic transmission with 4-wheel drive, you get power and capability while remaining economically friendly. Power heated seats with memory positioning, privacy glass windows, auto-dim rear view mirrors, alloy wheels and an AM/FM Stereo with a 6-disc CD Changer are just a few of the many features you will enjoy while driving your pre-owned ML350 around town. This vehicle has been serviced, professionally detailed and Pumpkin Certified. We have financing available with very competitive rates. For more information or to schedule a test drive, log onto our website at http://www.pumpkincars.com/ or contact us anytime at (609)646-7676. If you need assistance finding our unique indoor showroom, visit our website for detailed driving directions. You can also view testimonials from some of our satisfied Pumpkin customers. We encourage you to stop on by our showroom for a visit in Egg Harbor Twp, NJ. We look forward to meeting you soon.